Bran Muffins with a Crunchy Top are the perfect grab n’ go breakfast muffin. The perfect muffin to start your busy day. Add a banana, lo-cal yogurt and some juice and you have a delicious fast and easy breakfast. A breakfast that you can even eat in the car on your way to work. One that will get you through the morning and straight to lunchtime. Make up batch on Sunday evening and you’ll have muffins for the whole week ahead. 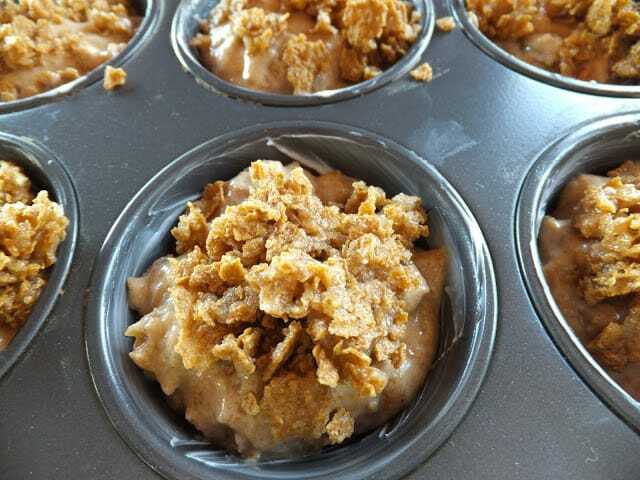 I found this recipe on the back of a box of bran flakes many years ago and have been making this recipe ever since. The muffins are made with bran flakes, golden raisins and buttermilk. 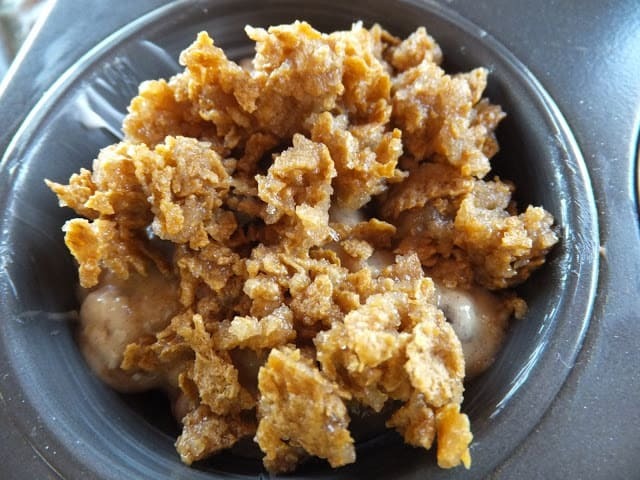 The ‘crunchy top’ is made with crushed bran flakes, brown sugar and melted butter. 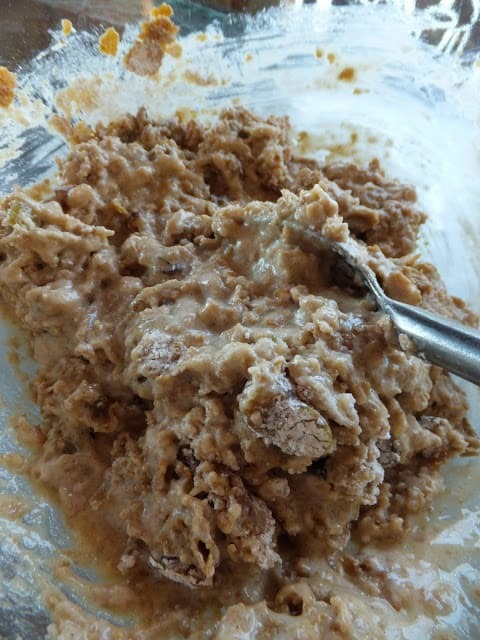 This mixture is then sprinkled on the tops of the muffin batter before baking. The end result is a super moist, raisin studded muffin with a delicious crunchy top. The perfect muffin to start your day. Preheat oven to 400º Grease or paper-line 10 to 12 muffin cups. Combine cereal, buttermilk, egg and oil in a bowl. Let stand for 10 minutes, stir to break up cereal. Combine flour, sugar, baking powder and cinnamon in separate bowl. Add cereal mixture all at once to flour mixture, stirring just until combined. (Batter will be thick) Fold in raisins. Combine crushed bran flakes, brown sugar and melted butter.